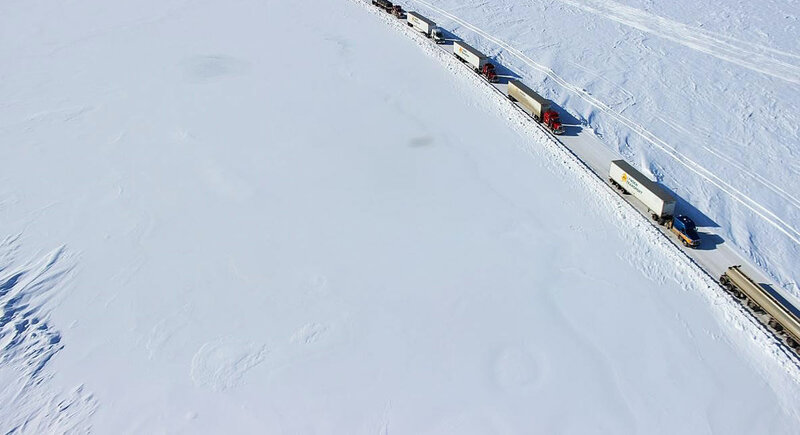 The Alaska Department of Transportation & Public Facilities (AKDOT & PF) crews have been fighting flood and ice overflow conditions on the northern end of the Dalton Highway in Northern Alaska between mileposts 390 and 405. Flooding of the Sagavanirtok River and subsequent freezing formed ice up to 30 inches thick throughout the stretch of road, prompting Alaska Governor Bill Walker to declare a state disaster at the request of the AKDOT & PF. To be able to assess the flood impact and help decision-making, AKDOT & PF needed near real-time satellite imagery to be collected and delivered quickly for flood assessment, and to support the time sensitive planning activities along the Highway. AKDOT & PF contacted GeoNorth, Airbus Defense and Space’s first mul- ti-mission satellite Direct Receiving Station (DRS) partner, to support them for this emergency requirement. GeoNorth Information Systems has collaborated with Calaveras County, California to provide the county with current, accurate, high-resolution satellite imagery. The county uses the imagery to manage two of the most critical issues it is currently managing; tree mortality and regulation of controlled substance cultivation.